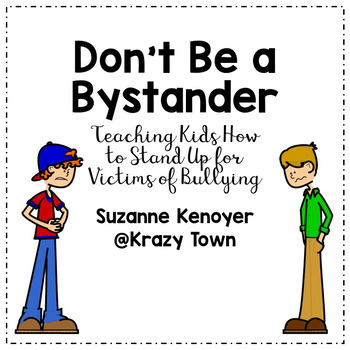 These situations are hard for adults and they are even more difficult for our students. 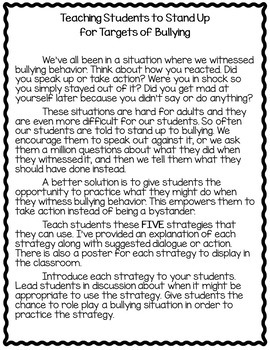 So often our students are told to stand up to bullying. We encourage them to speak out against it, or we ask them a million questions about what they did when they witnessed it, and then we tell them what they should have done instead. This product covers five strategies students can use. I’ve provided an explanation of each strategy along with suggested dialogue or action. There is also a poster for each strategy to display in the classroom. Search these hashtags for more great free resources! Big thanks to A Sketchy Guy for the clipart used in this resource. •	Look for the green star next to my store logo and click it to become a follower. From now on, you will now receive email updates about this store.